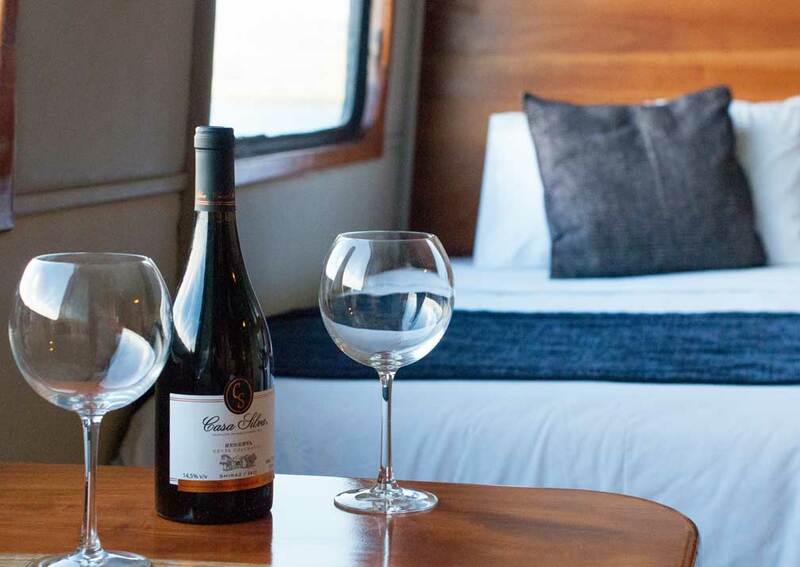 Integrity is an elegant motor yacht, with lovely light interiors and plenty of outdoor space including a Jacuzzi, sunbathing area and crescent-shaped sofa. 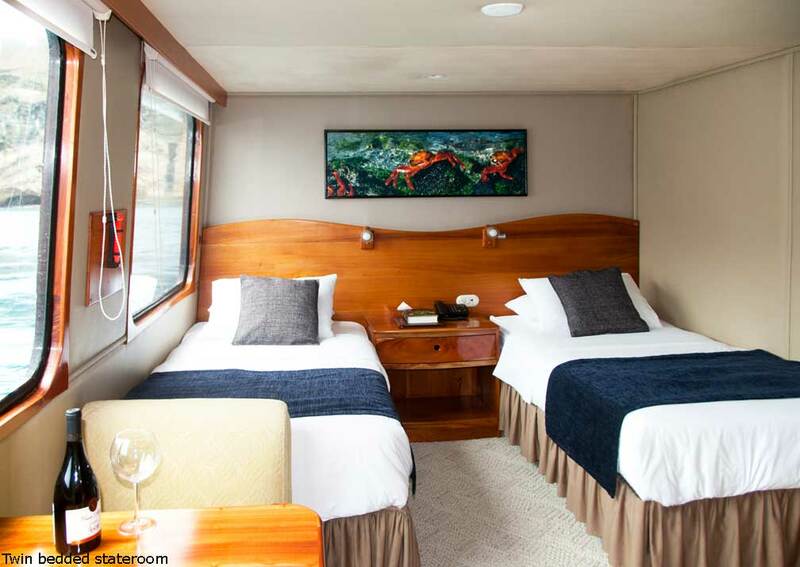 All cabins are air conditioned and have TV and large picture windows. 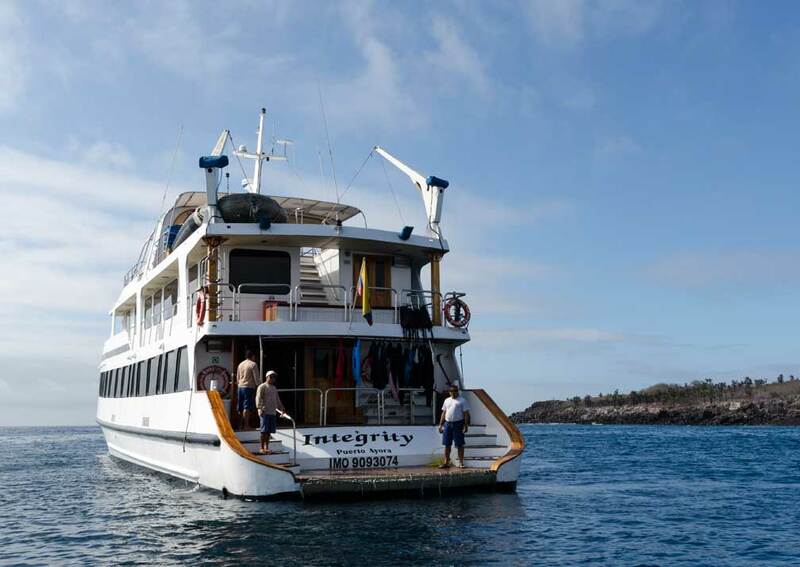 US-built Integrity was extensively remodelled in 2005 to provide high quality accommodation and facilities for visitors to the Galapagos Islands. 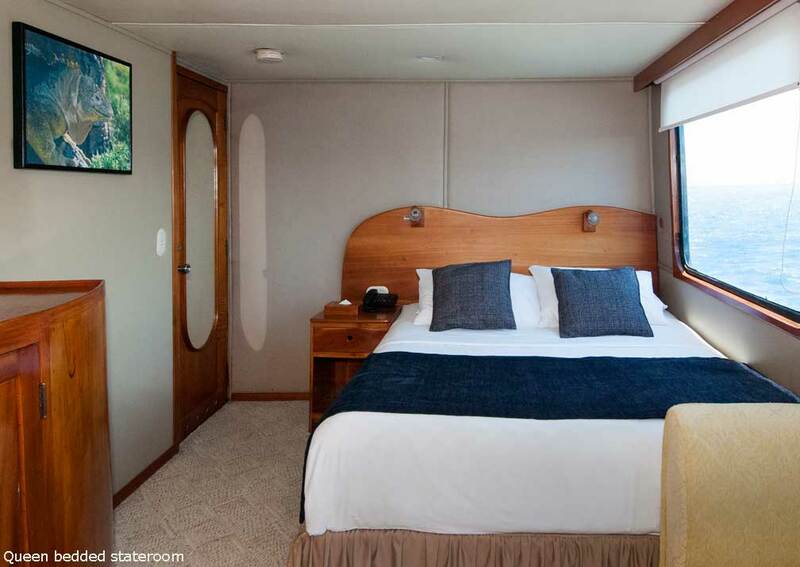 Your cabin is bright with light streaming through the large window, has a flatscreen TV, minibar and plenty of storage space. Local wildlife photos adorn the walls. 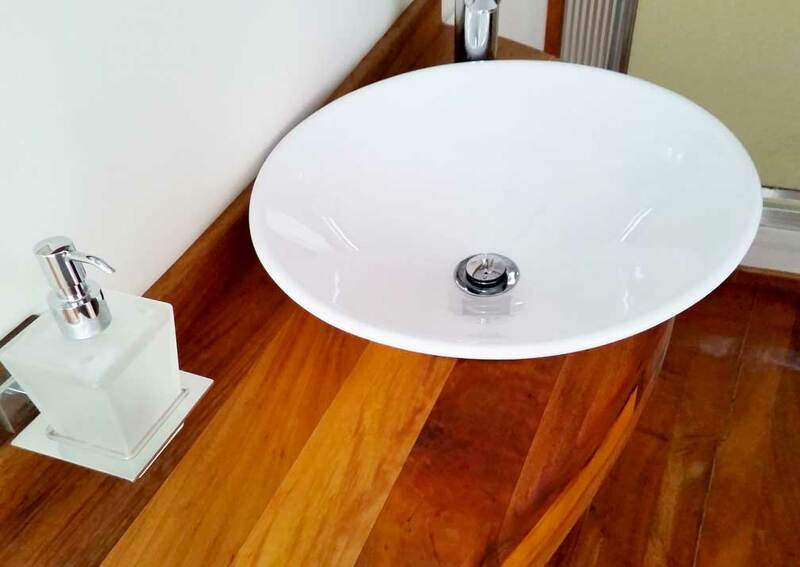 The bathroom has a full-size shower, vanity unit and toilet. 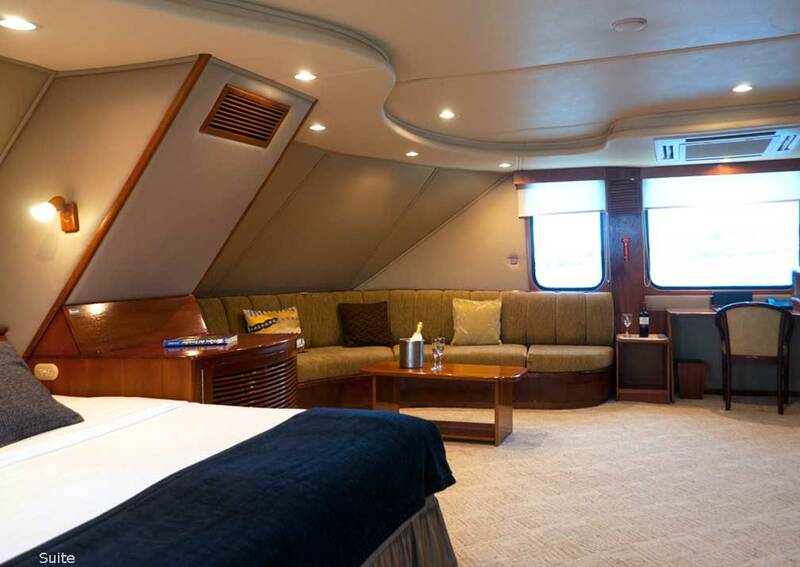 The owner’s suite is especially spacious (350sq feet) and spans the width of the main deck. Social areas are light and inviting. The lounge-bar features two long sofas, one on either side of the room, each with a coffee table. Beyond is the dining area with 4 tables for convivial meals. There’s a wide screen TV and media centre which you can use to view your photos. The whole room is light with picture windows along both sides. On the next deck there are covered and open areas both with seating, and a bar. 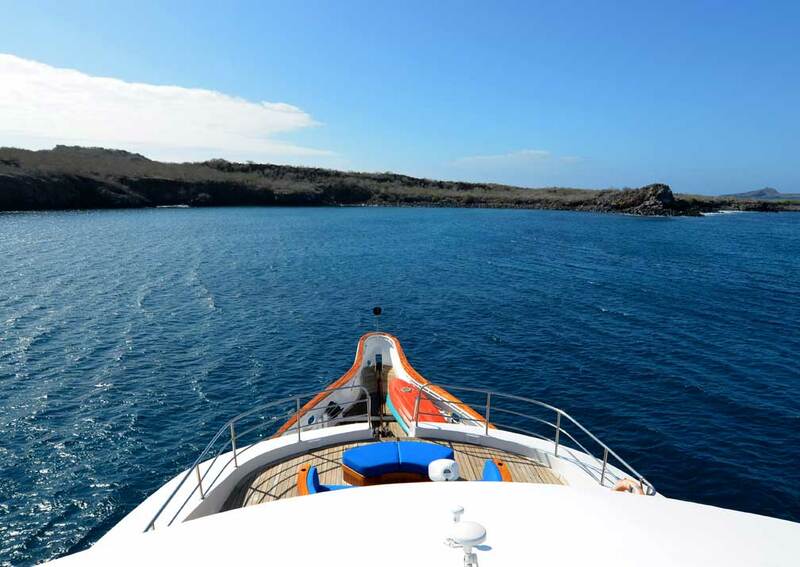 From this vantage point you’ll have panoramic views of the ocean and islands. The Jacuzzi is always popular. To the front of the bridge there’s a semi-circular sofa, a great place for socialising. 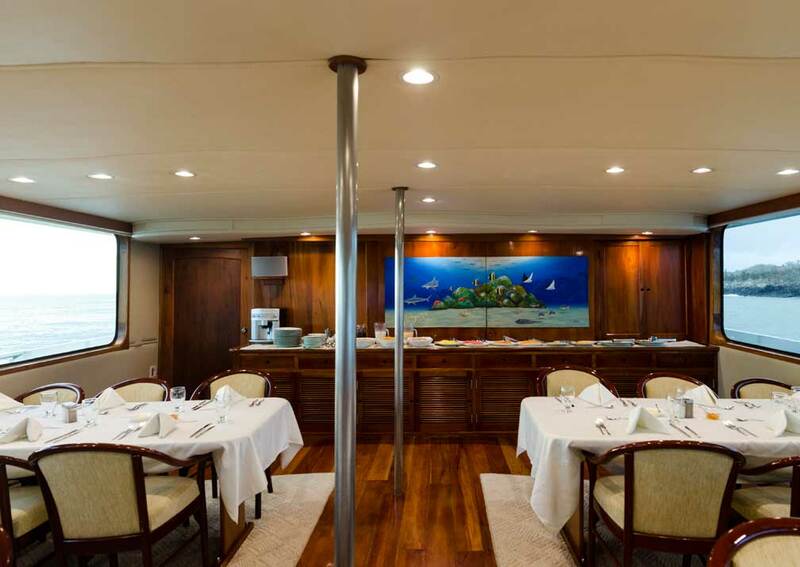 This part of the deck is called ‘Rolf’s Roost’, after the yacht’s owner, Rolf Sievers. 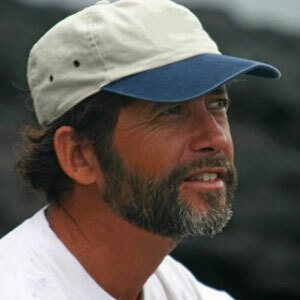 Rolf was a pioneer in Galapagos conservation and indeed at offering wildlife cruises around these islands. The yacht is still owned and operated by his family and with these credentials it is a vessel we are very happy to recommend. Not only is it a luxury yacht with these longstanding links to conservation, but also it boasts some of the best guides in the islands. The guides are hand picked and you can see their profiles on the tab below. As you will see, all of these guides are top notch and we can usually find out who is guiding for your chosen dates (but cannot guarantee). Enjoy drinks and chats at ‘Rolf’s Roost’! 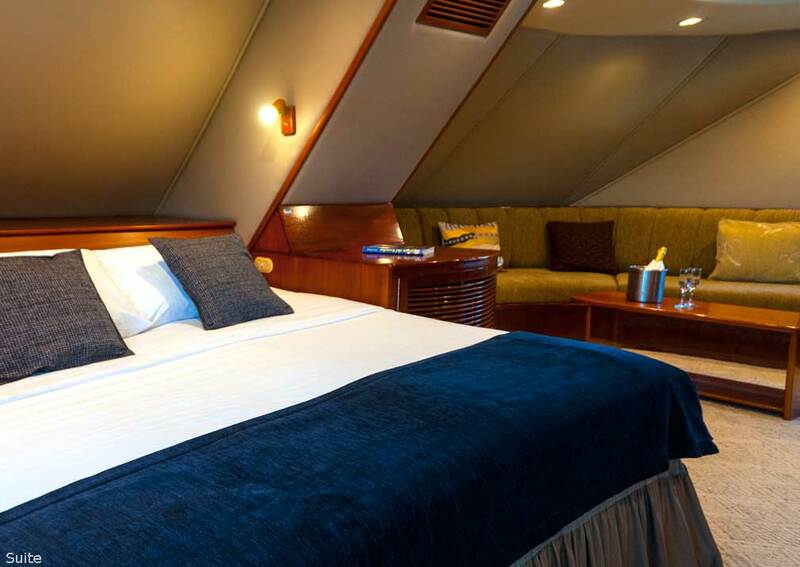 There are 8 staterooms and 1 suite, all on the main deck. All are air conditioned, have large windows, TV, DVD and CD payers, minibar, phone and private shower room with a walk-in shower and hot and cold running water. The owner’s suite (no. 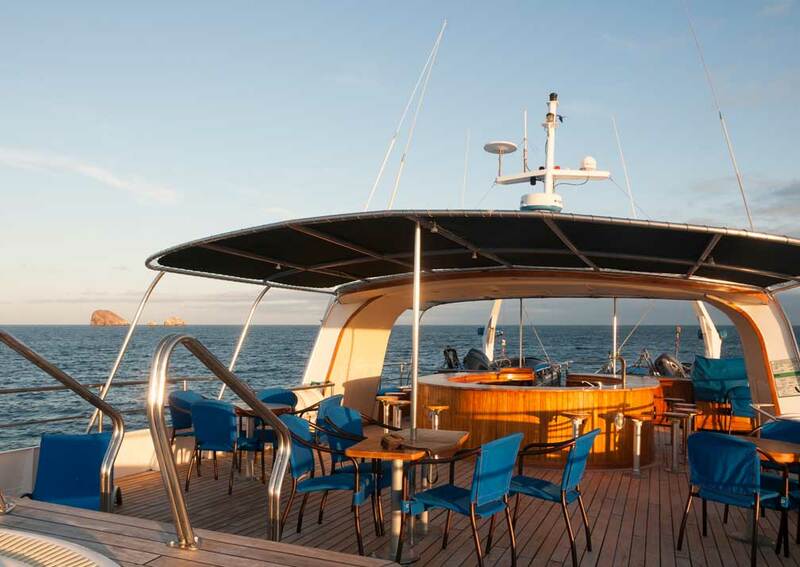 1) covers 32.5 square metres, is located at the bow and spans the entire width of the vessel. It has a king size bed, large sofa and desk. 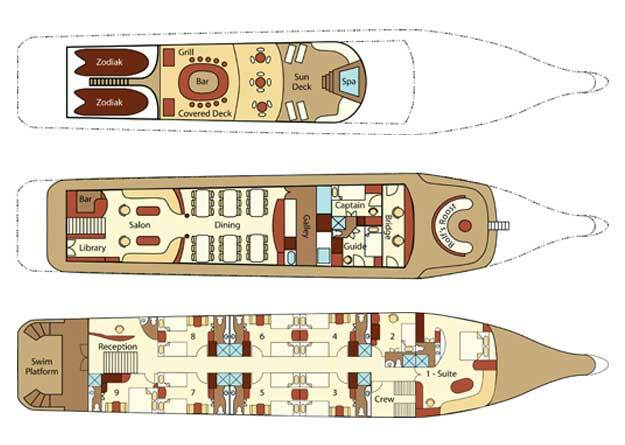 Of the staterooms, no.2 is a single and covers 11 square metres. No.s 3 – 7 can be configured as twins or king bedded rooms, no. 8 has 2 twin beds and no. 9 has a queen bed. 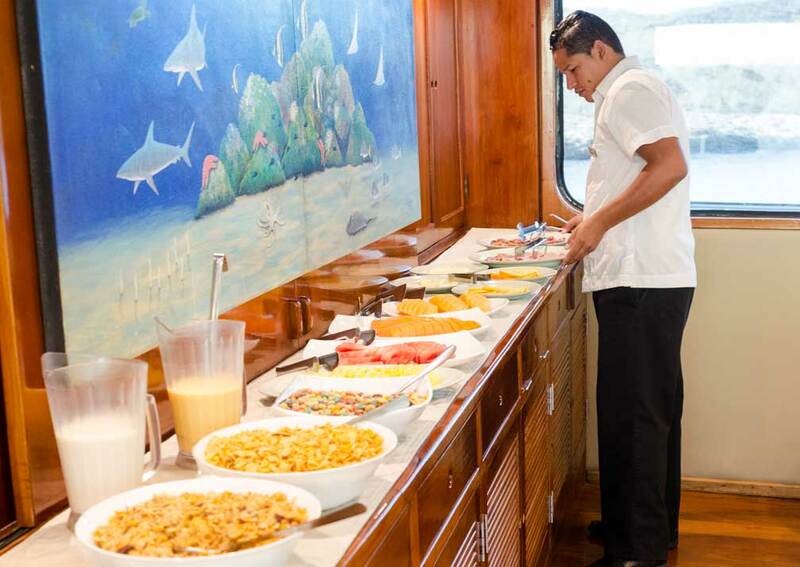 Staterooms 3-9 are 14 square metres, and have a table and chairs. 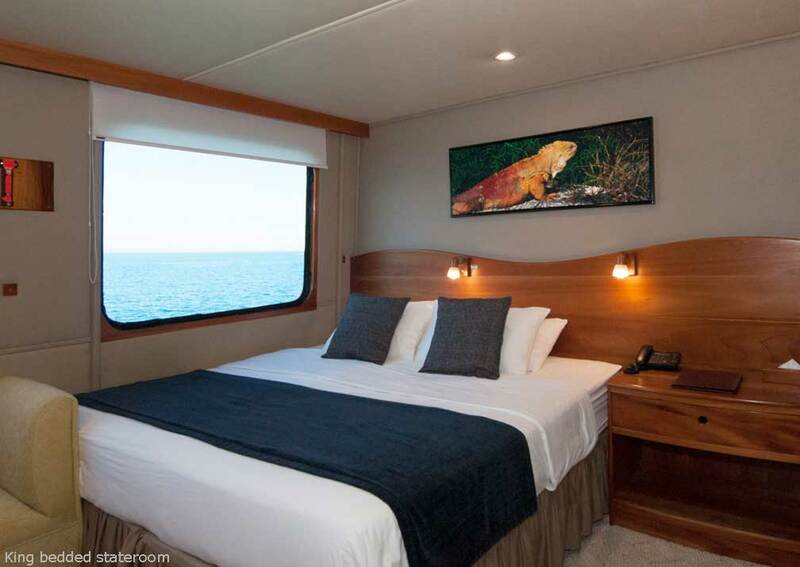 Accommodation: The 9 cabins are on the stateroom deck and include the owner’s suite, 7 doubles/twins and a single. All are air conditioned, have satellite phone, flatscreen TV and DVD player, CD player and en-suite shower room with shower, bathroom cabinet, basin and toilet. All have picture windows. 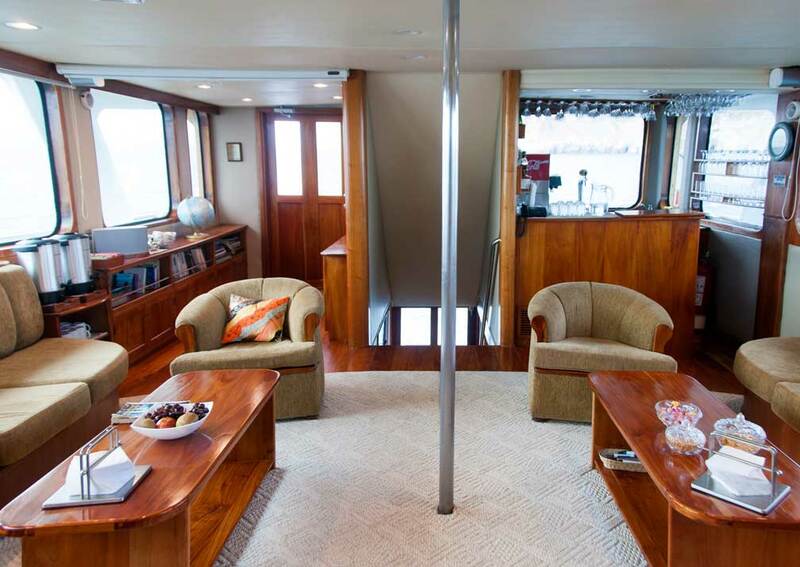 On Board: Open plan lounge, library, bar and dining area on the salon deck. 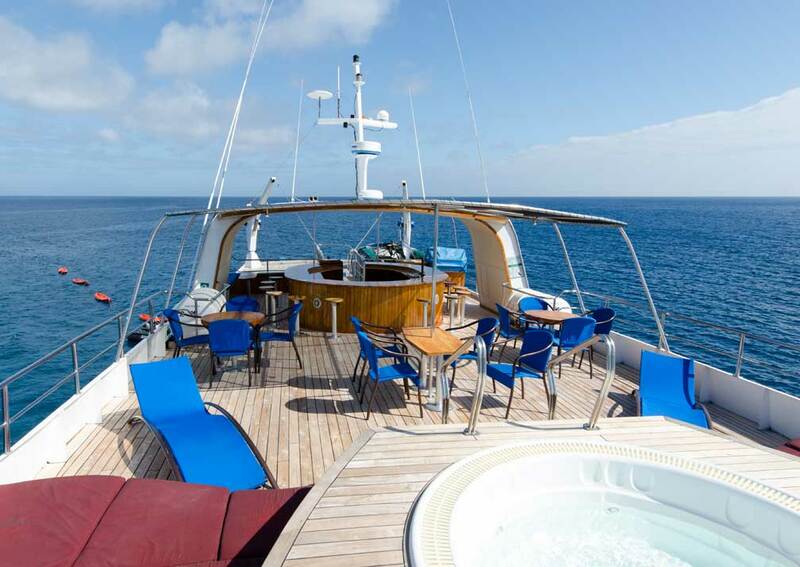 Also on this deck is ‘Rolf’s Roost’, a crescent-shaped sofa at the bow. 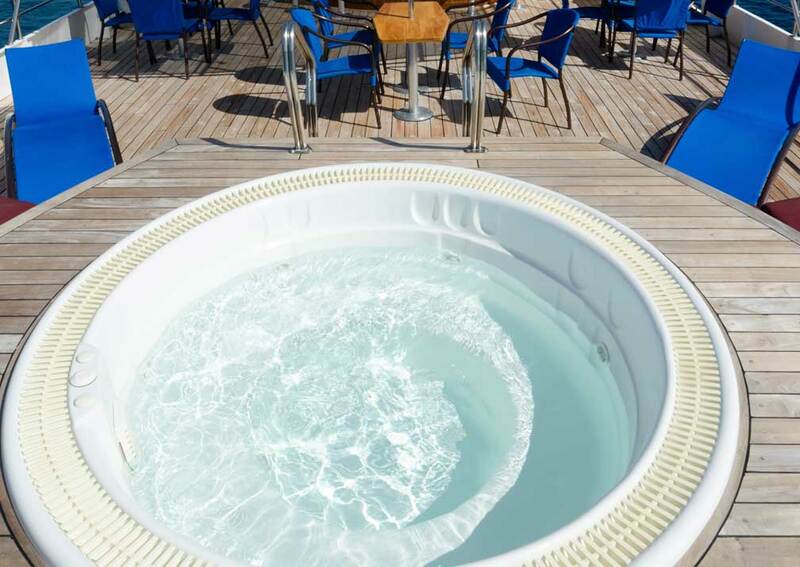 Sun deck with Jacuzzi, covered seating area and bar and barbecue space. The swimming platform is at the stern of the stateroom deck. Integrity carries 6-8 kayaks. Richard Polatty is an American naturalist who first led trips in the Galapagos Islands in 1985 and has been the chief naturalist for International Nature and Culture Adventures (INCA) since 1990. His impressive credentials include leading almost 60 expeditions in Antarctica over the last 18 years and carrying out research for the Antarctic Site Inventory for Oceanites. He has a keen interest in astronomy and has witnessed and photographed 7 total solar eclipses worldwide. 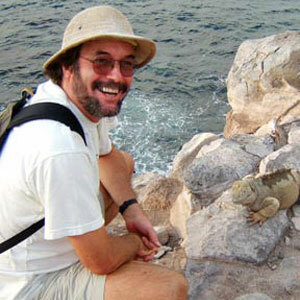 He has taught astronomy classes for the Galapagos National Park Naturalists Courses. Richard has a pilot’s license and serves as a patrol plane pilot with the Galapagos National Park Service. 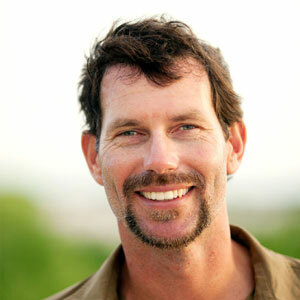 Greg Estes is a US born naturalist with an honours degree in Biology from the University of London, whose involvement in the Galapagos Islands began in 1982 when he led the Cambridge Darwin Centenary Galapagos Expedition carrying out research into marine iguanas. He stayed on to help in other ecological projects. 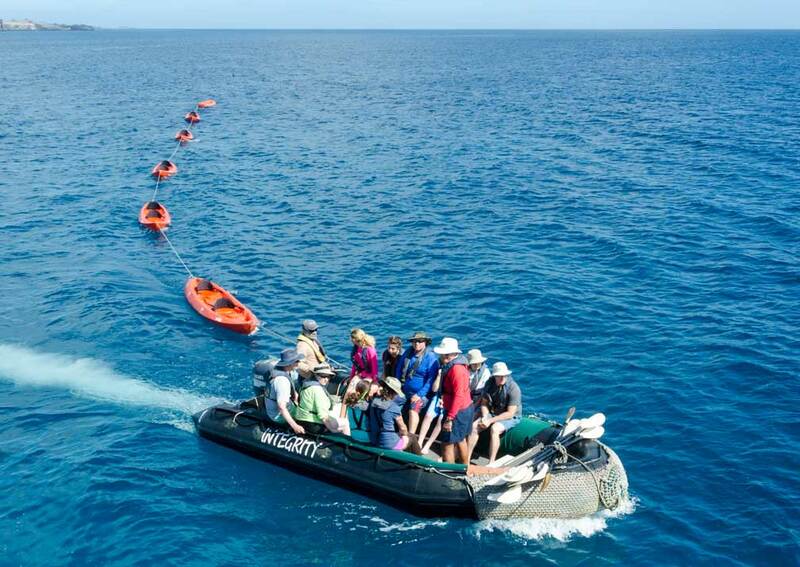 He combines this work with leading expeditions and has worked with several film companies including the BBC. In recent years Greg and his wife Thalia have been using information from Charles Darwin’s original notebooks to retrace his footsteps in the archipelago and have co-authored ‘Darwin In Galapagos: Footsteps to a New World’. Born in Switzerland, Patricia Stucki’s interest in the Galapagos Islands began in childhood when she sold Swiss chocolates to raise funds to protect the islands. Her subsequent work as a journalist kindled the twin passions of travel and natural history. After touring Asia, Australia and Central America, and she first arrived in the Galapagos in 1996. She now lives on Santa Cruz, where she has a garden and small cocoa plantation. Patricia has a profound knowledge of the archipelago’s flora and fauna, is an active conservationist and a keen photographer. She speaks fluent Spanish, English, French and German. 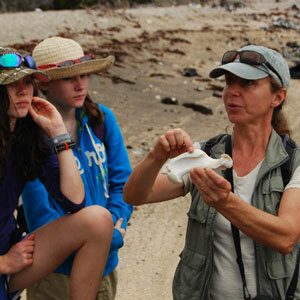 A veteran guide of Galapagos, Tanya has been working and living in Galapagos for almost a quarter of a century! Her guiding career started in 1991 in the jungles of Ecuador where she had the privilege to work with and learn about the Cofan Indians that live along the Aguarico River, in the north-east corner of Ecuador. Before her jungle adventure, Tanya was a student at the University of Aberdeen in Scotland where she enjoyed studying Physiology, Biochemistry, and Zoology, although my major was in Chemistry. While at university, Tanya learned to dive in the frigid waters of the Scottish lochs. 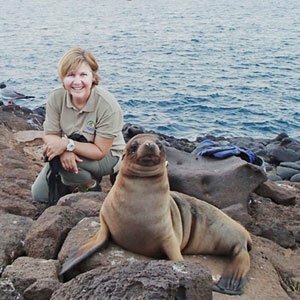 In 1992 Tanya completed the Galapagos Naturalist Guides course which was delivered by the Galapagos National Park Service and the Charles Darwin Research Station. About a year after the course, Tanya was certified as a PADI Dive Instructor. She then lead dive trips in the Galapagos for a few years after which she changed to land based guiding, but Tanya never misses an opportunity to go snorkeling. Tanya now shares her time between guiding, her hobbies which include gardening, bicycle riding and reading, and raising her two daughters. Jan Post was born the Netherlands and was interested in outdoor sports and pursuits as a boy. Later, after graduating from college, his life took a different direction as he pursued his love of cuisine and he qualified as a chef in 1994. In this capacity he worked on board a private sailing yachts for 5 years, during which time he became interested in geography and geology. 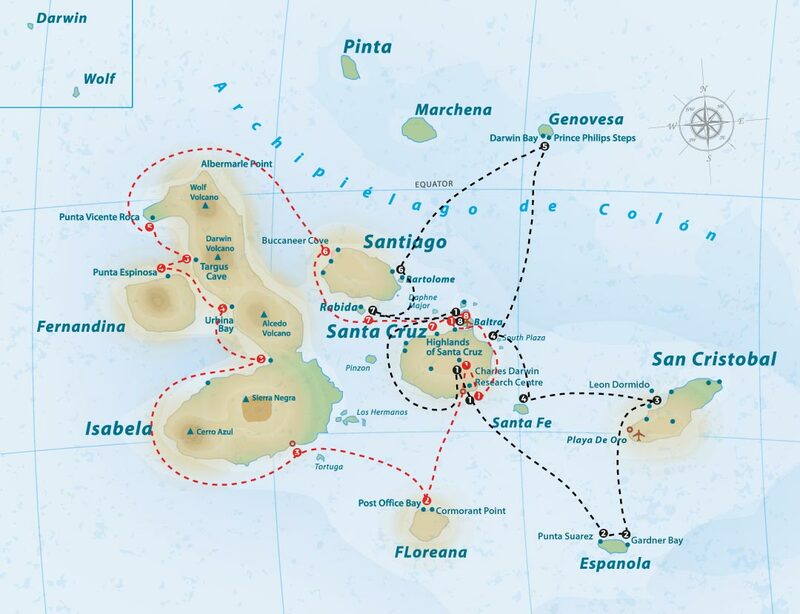 Jan then met his wife to be, a naturalist guide from the Galapagos Islands, and together they settled in the islands, where Jan trained as a guide and has been leading trips ever since. Desiree Cruz is an Ecuadorian with degrees in biology and linguistics and literature. Her involvement in tourism and conservation dates back to 1987 when she began working as a guide in the Galapagos Islands and later worked for the Galapagos National Park Service. 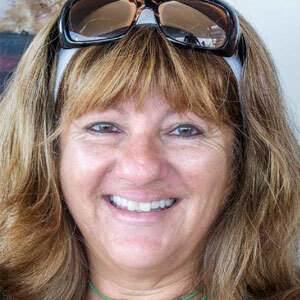 She now lives in Puerto Ayora and is active as a spokesperson for Galapagos Naturalist Guides. She also helps train naturalists guides. A passionate conservationist, she balances this interest with writing and guiding, in which her fluency in Spanish, English and German a valuable asset, and enjoys sharing her specialist knowledge and enthusiasm.